Welcome to the grand opening of The Coffee House! We are back, and we are better than ever! The Coffee House is now under new ownership. The owner of The Coffee House, Mr. Michael Fisher, would like to invite you to see the new shop. 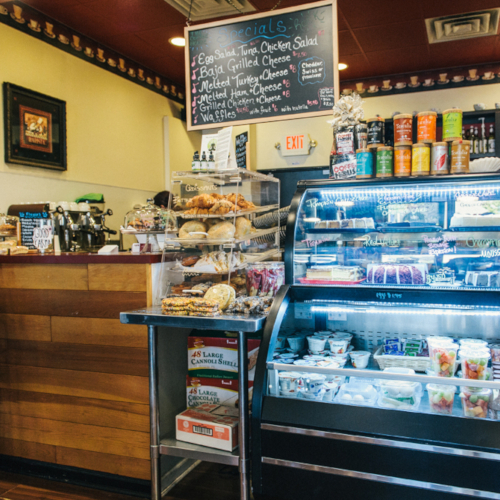 The Coffee House features fine Italian coffee, pastries, and desserts so please join in on our beautiful coffeehouse. Frequently we will live music, and we always serve delicious beverages and a variety of food. The Coffee House is located in the historic downtown area of Clara Barton, Edison, New Jersey at 931 Amboy Ave.